Cars And Coffee Byron Bay replied to Caver's topic in Not Porsche - Everything Else. Hasn't that already been tried in a place near you ???? I've got a now redundant car seat which came out of my 993. It's a small base and fits perfectly. Good for ages up to 4. In Brisbane and just want it to go to a good home - come and pick it up. Mother's Choice Emporer seat. We all live near the coast right ? Salt sea spray is an issue right ? You would need to be 50km from the coast to be safe from the sea salt haze surely ? But Byron township itself is deserted - so often the best time for locals. 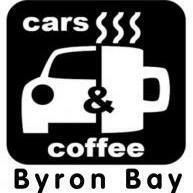 Cars And Coffee Byron Bay replied to Cars And Coffee Byron Bay's topic in Not Porsche - Everything Else. Yes we now can. We are compliant to send funds both inbound and outbound. From all low-risk countries (ie, not North Korea etc). Once you login to your account, it is a simple process to enable the Inbound payments. like this - not sure if this is the "hotrod" look you are after - but it sure is popular around Byron Bay? DOUBLE DEMERITS IN NSW THIS WEEKEND. No reservations required for gentlemen driving Porsches (btw....the don't take reservations for anyone). My tip (as always) is to get there by 8am, and head straight to the restaurant. Thread HIjack ! And add a few thousand to that AUD rate as that quote is 0%. That's true, yes, but the main difference is the spread. It is possible move money from bank to overseas bank for between $18 and $30 AUD (depends on bank). It is the moving between the currencies where we come into the equation. For a small amount - it is easy enough to use the bank and pay the extra. But if you want to buy a 356 from overseas, and need to convert AUD to USD, then using a company like us will save around $4,000. Enough for shipping, or compliance, or to keep in the kitty for speeding fines. To send money from another country to Australia, we need to be legally registered and compliant in each of those countries. This is the reason I have been selling my Porsches........as the timeframes and costs are huge. At the moment we can send money from Australia as we are registered, and we will be able to send funds from EU within the next short while. USA will be a long way off, as I don't like the idea of spending years in jail.